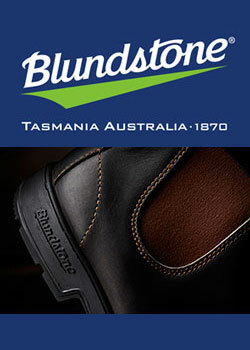 So this is what it feels like to play in the AFL finals. I missed out on a reserved seat in the MCC Members, so I started queuing at about 12.15pm on Friday. There were fifty or so people outside Gate 2 at that stage, most of them Melbourne supporters. I made friends with everyone in my part of the queue, and we chatted about our team’s great form and whether or not we would win against Geelong. The prevailing view was they we probably would, but we were just glad to be in the finals at last, and were hoping for a good game. 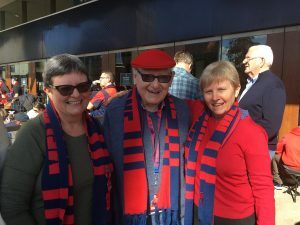 A couple of hours later my sister and my dad joined me at Gate 2 – my sister had come straight from the airport after flying down from Canberra, and Dad wanted to be part of the fun, at 91 years old. The security guys closed off the queue on the concourse just after that, and we watched the line in Yarra Park grow over the next few hours in the afternoon sun until it was thousands strong and went all the way up to Wellington Parade. When the doors opened at 5pm we made our way to our favourite row in Bay M45, on the wing behind the interchange bench. All the unreserved seats were full by about 5.25pm. 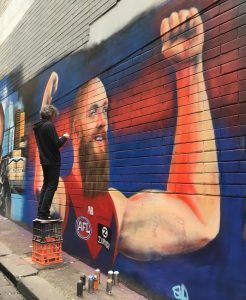 The ground looked a picture, and whenever any Melbourne players emerged from the rooms to check it out and have a kick, they were loudly cheered. 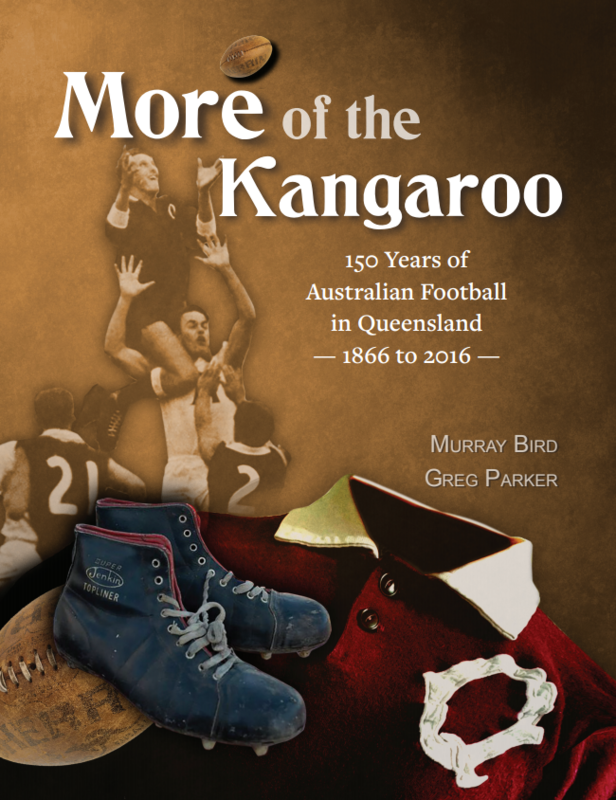 We noticed a young woman along the row from us wearing a very old-looking Melbourne guernsey with number 21 on the back and asked her about it – she turned out to be Melbourne AFLW player Harriet Cordner, and the guernsey was her famous grandfather Don Cordner’s 1948 one. My dad told her he saw Don play in the 1948 grand final. Everyone in our section was barracking for the Demons (except one poor guy, who was a Cats fan), and by the end of the game we were grinning, cheering, and hugging each other like old friends. 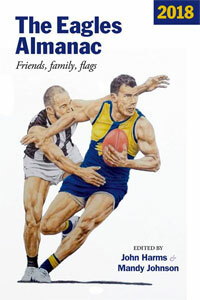 Whenever someone found out that Dad was 91 years old, they congratulated him on having witnessed so many Melbourne flags – he was the only one there who was old enough to remember them! 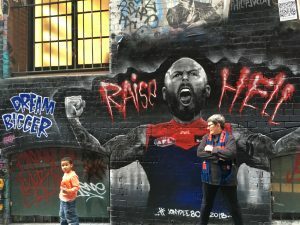 On Sunday morning I was in the CBD and popped over to Hosier Lane to see the fantastic mural of Nathan Jones by street artist and mad Demons supporter JonyDee (J-boy). There were other Melbourne fans there taking photos, and everyone was happy and chatting – it was delightful. One guy said there was another mural – this one of Max Gawn – going up about a block east in Higson Lane, so we walked up to have a look. The artist, who goes by the name Daemo ‘Silly’ Sully, was there with his partner Bernie, and had just about finished his magnificent work. Footy fans kept rocking up while I was there, mostly Melbourne supporters but also fans of other clubs, and everyone was buzzing about the Demons’ finals form. A guy from Brisbane and a woman from Adelaide commented separately and appreciatively that they didn’t see art like this in their cities. It seems so. Go Demons. 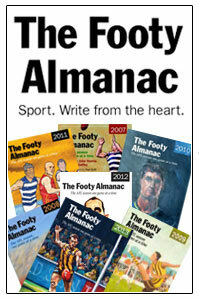 There’s a lot of love for the Melbourne Football Club – just makes me smile so much! Thanks so much for stopping to talk to us and watch Sillysully’s work his magic. We appreciated every single Melbourne fan from all over the country who came to see Max, as well as the non Melbourne fans who were just as appreciative of what Daemo was doing. 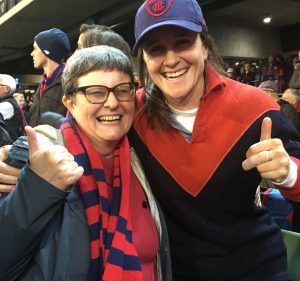 The Ruby Demons are ace.Fine work Katie.I watched the game behind the goals at the Punt Rd end surrounded by a dozen wonderful Demon’s nanas with their grandkids.Grins from ear to ear, all the way round.